Since its debut, the GE series has remained an all-time favorite of gaming enthusiasts. The GE63 Raider has been out for some time now; however, MSI is launching an RGB Edition, which is slated for release quite soon. MSI has taken functional lighting to a whole new level with this one. The latest addition to the series is equipped with an RGB-lit back panel and keyboard that can display over 24 million colors across its 12 zones. That includes the USB port. But aside from it looking cool, there’s a functional aspect to these RGB lights. Gamers can set the lights as indicators for in-game statistics, notifications, etc. Details remain scarce. Though the laptop is going to be powered by an Intel Core i7 CPU, MSI has not announced its generation. Additionally, it might come with NVIDIA GeForce GTX 1060 or 1070 graphics, and at least 32 GB of RAM. As of this writing, MSI has not revealed pricing details of the GE63 RGB Edition nor have they announced a specific release date. But the laptop is expected to come out sometime in the second quarter of the year. 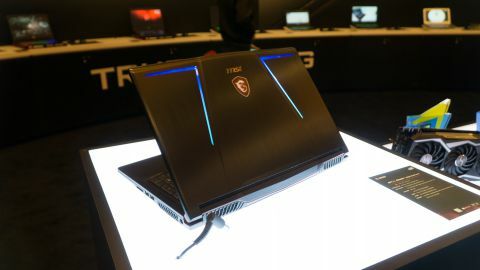 MSI broke new grounds with their latest premium gaming laptop, the GT75VR, which comes with massive improvements to its design as well as performance. Above all else, this is MSI’s first virtual reality-ready gaming laptop. With its backlight control, gamers are able to customize each key according to their liking. Let’s face it — looks can be just as important as performance. On the other hand, there’s more to the SteelSeries Rapid Mechanical RGB Keyboard than its backlight. 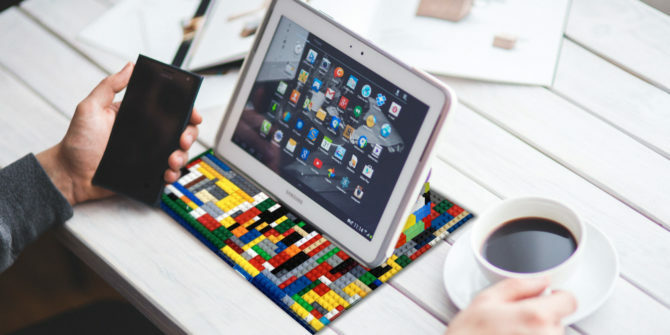 The keyboard boasts a total travel distance of 3 millimeters and only 1.5 millimeters of actuation. Last but not the least, the design features an elevated palm rest, providing gamers with better ergonomics and comfort, perfect for a long gaming binge. The GT75VR is the epitome of high level gaming. It is the first gaming laptop to be equipped with NVIDIA’s next generation GeForce GTX 1080 GPU, which provides desktop-level performance. With these GPUs, enthusiasts should also be able to enjoy an exceptional VR experience. Though an optional feature, enthusiasts can enjoy the GT75VR in Full HD with a 120Hz refresh rate and a 3ms response time. MSI has yet to set a date or a price for the GT75VR. With two impressive laptops on the way, there’s no point in holding off on replacing your gear. Now is the time to get rid of or sell used laptop units and buy yourself a faster and more powerful one. Out with the old, in with the new. This mantra especially applies to technology today. Innovations here and there change rapidly and a lot of old stuff are being disposed and forgotten. You buy one laptop model and use it for a few years (hopefully), and then you find yourself upgrading to another one. So what happens to the old one? 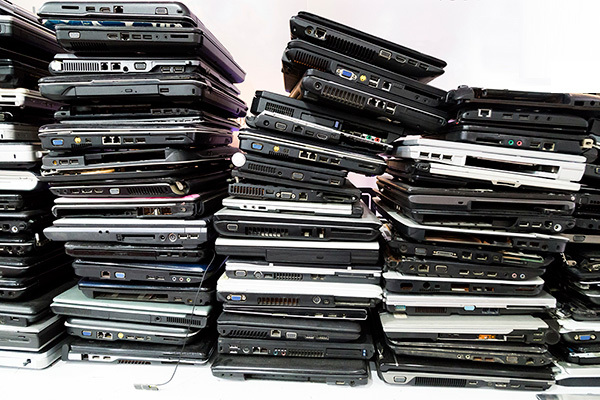 Before finally throwing your old laptop away, consider recycling it. Yes, you read that right. You can recycle an old laptop too. This article will tell you some steps you can perform so that you don’t immediately put your pre-loved computer to waste. But wait! Before you dissect and recycle your laptop, be sure to wipe out your hard drive. This helps maintain privacy and security. You would never want to deal with someone else stealing your private information or even your photos and videos. Identity theft is a huge issue today, so save yourself the hassle by making sure your files are completely deleted. FYI, when your files are in the trash bin, that doesn’t mean they are completely deleted. If you don’t know how to do this, you can go to your manufacturer’s service centers and have them wipe out your drive for you. Even when your laptop is already too obsolete in terms of systems and processor, you can still make use of its hardware. Creativity is the key here. Think of as much ways as you can to reuse the parts and convert them into something that’s also useful. You can put out the parts and put together a home file server, for instance. A file server doesn’t have to have high-end parts anyway– only basic and functional parts. You can use this as storage for numerous files and data. If only selected parts of the laptop remain working, you can find each one its own purpose and do conversion. For instance, the internal hard drive can be converted to an external one. You can seek help from a tech expert or find a tutorial to do this. Put out the most random parts too and practice your DIY skills. Perhaps you can reuse the cooling fans, the circuit boards, even the monitor frames as art pieces. After all, junk art is a thing nowadays. If your laptop is still functional, why not share it to an institution that needs it? There are tons of organizations and schools out there that have no budget for computers. Perhaps they can just have your laptop refurbished a little so they can use it. Letting somebody else benefit from it is still better than just throwing it. You should seriously consider recycling your laptop, not only to get your money’s worth, but to help the environment too. There have been reports that found too much electronic waste in garbage disposals. This is really hazardous and this can be detrimental to us in the future. The year 2018 will be a good year for retailers who sell cell-phones. Gartner, a research company, projected a 2% increase in smartphone sales this year compared to 2017. Nokia made a huge comeback last year as they finally launched Android handsets. Last September, they released their flagship phone Nokia 8. It looks elegant with its impressive QHD display, but tech experts claimed there is nothing so unique about it. Rumor has it that the Nokia 9 will be waterproof. The rear cameras, according to the news, will have a wide-angle and a zoom function. With the arrival of Nokia 9, many consumers will surely be happy because the phone’s target market includes people looking for budget high-quality phones. Samsung’s upcoming flagship phone is expected to come out during the last quarter of 2018 because the company is still addressing some durability issues. For now, we can hear a lot of rumors about the features of the Samsung Galaxy Note 9. 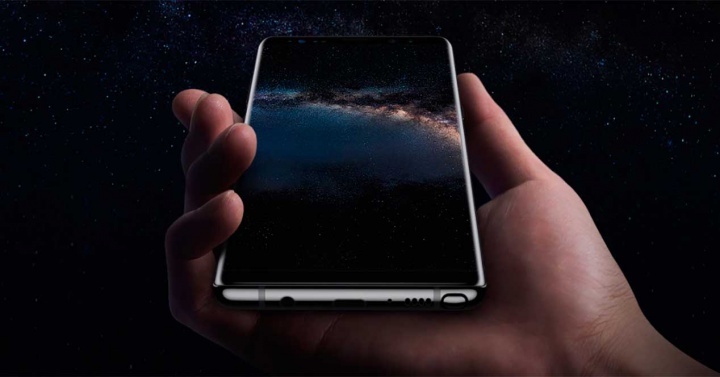 It is believed that Note 9 will retain the Note 8’s infinity display screen, fingerprint scanner, and front-facing camera. Furthermore, news surfaced that Note 9 will be lighter compared to its predecessor. It may be too early to talk about the next iPhone because iPhone X just came out three months ago. The iPhone X is Apple’s most revolutionary phone to date. It ditched the home button and uses facial recognition, which is more secure than fingerprint locks according to Apple. The iPhone X already has cool features, so what else should we expect with iPhone X Plus? Believe it or not, the company is about to launch four more new smartphones this autumn so we are looking forward to that! This coming March 27, Huawei will unveil the P20 in Paris. What keeps the Huawei P20 interesting is the three cameras on the back. Recently, the Chinese smartphone maker only used dual cameras for their units so this one will be something new for Huawei consumers. The company announced during the Consumer Electronics Show (CES) 2018 that they will produce two new handsets this year. So far, we heard that one of the new upcoming BBs will be a successor to the KEYone. The phone, which was first released in April 2017, boasts a good battery life and accurate keyboard. The only problem is its small screen, since a majority of consumers today prefer a big smartphone. Will BlackBerry release a bigger KEYone? We will soon find out! Which among these phones are you looking forward to see? Hopefully, with the arrival of these new flagship phones from these giant smartphone brands, we will also see better apps. Much like with living things, a life cycle also happens to technology. Every year, there are services and gadgets that are discontinued to make way for better tech and devices. In 2017, we lost a number of once-renowned services and gizmos that have lost their “mojo” some time ago. Here’s a list of the noteworthy tech and gadgets that expired last year. After a decade since its launch, Microsoft pulled the plug on Windows Vista. On April 11, the giant software company discontinued what is arguably the most disparaged version of One Microsoft, and for good reasons. Before its death, the system hasn’t been updated for the longest time, which means there are also no security updates. After making the iPod Classic obsolete three years ago, Apple terminated two more iPods from its product lineup last July. The iPod Nano and iPod Shuffle are now considered archaic. The last remaining iPod device is the Touch version, which is more than just a standalone media player. One of the most prominent fixtures during the start of the Internet era is AOL Instant Messenger. After a hard-fought battle to stay afloat, AOL Instant Messenger permanently logged off in 2017. With its demise is the termination of its buddy lists, fun blooping noises, and away messages. Some blamed the death of AOL Instant Messenger on the cultural shift that happened when social networks began popping up here and there. With social platforms like Facebook and modern messaging apps like WhatsApp, AOL had a hard time coping with the change they bring. Also, on the same day that their instant messenger expired, AOL deactivated their forums on CompuServe. Just after a couple of years of offering freebies like in-game materials and apps compatible with Android, Amazon threw in the towel on its Underground software. Though Amazon continues to run its own app store for Android programs, the company has deemphasized it as merely an alternative to Google Play. And without the appeal of freebies, users have little to no more need for a third-party app source. After a 12-year run, GChat is out. The messenger service of Gmail, formally referred to as Google Talk, bade goodbye last June. Discontinuing GChat is a step forward for the giant tech company in streamlining its extensive messenger app lineup. Delicious, better known as del.icio.us, is a Web 2.0 icon. It enabled users to save and share website bookmarks online. In 2005, Yahoo acquired the site and planned to officially close it in 2010 as part of the company’s purging of mediocre products. But Delicious was passed around more than once. With each new operator comes the intent to remodel the site. Alas, no one did know how to do it. As a final push, its rival, Pinboard, bought the site for next to nothing. The company promptly set the once popular website to read-only mode. Which of these obsolete services and gadgets will you miss the most? It seems like every year, there are brand new gadgets and gizmos that take things to the next level. The technology available right now is so much more than what we had a couple of years ago. And its progress is expanding all the time. So, as 2018 is just a few days away, let’s see what gadget trends we can expect to wow us even more. Unlike other smart technologies, virtual reality (VR) had a rather slow start. The buzz began with basic VR headsets. They weren’t as prevalent as other gizmos. The older VR headsets needed extra accessories that were also pretty expensive. Also, users were required to have technical knowledge to make them work. But thanks to the steady VR developments made this year, 2018 will be all about taking VR mainstream. A good sign of this prediction is the launch of the Facebook Oculus Rift. The site’s VR feature is created using ‘outside-in’ tracking techniques that boost accuracy. 2017 was all about smart devices. Now, 2018 will be about using those smart devices in many incredible ways. One of these amazing methods is keeping homes secure. There will be an influx of gadgets that provide homeowners more control over the security of their homes. These days, video doorbells are becoming the norm. This smart security device gives people the ability to see who’s at the door even if they’re not physically at home. 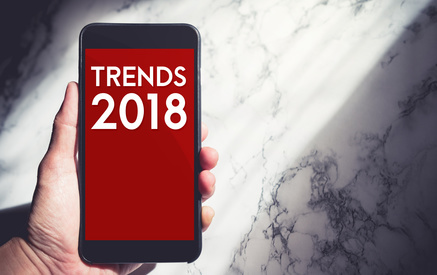 It’s expected that more and smarter improvements will emerge next year, most of which will improve the technology of existing security devices like the incorporation of mobile apps and cloud backups. Wearable devices have been around for quite some time now. The likes of pedometers are used by consumers worldwide. By 2018, experts anticipate superior options for wearable gadgets. Wearable pollution trackers, for instance, are developed to monitor the air quality that surrounds people. The demand for breathalyzer wristbands will also increase next year. This wearable gizmo enables users to check their blood alcohol content. The wristband detects chemicals through the sweat on the skin. Even fitness trackers will be upgraded in 2018. Fitness tracking rings are expected to sell like pancakes since they have the same capabilities as wristbands, but in a much smaller package. The notion of “Internet of Things” has considerably grown over the years. The concept refers to a network of devices, gadgets, software, and connectivity that helps improve the life of its user. 2018 will undoubtedly see an evolution and expansion of gadgets that can be linked to one another. That means the connection will go beyond mobile phones and computers. Smart devices will soon launch long drawn-out ideas such as smart locks for the home. The increase in linked devices will guarantee that the Internet of Things will be easier, faster and more accessible to all. The interconnection of web-based elements is a trend that has been discussed for some years now, but 2018 will be the year for its absolute growth and progression. So, which 2018 gadget trend are you excited about? A coffee lover. A budding cook. A chocoholic. A proficient gourmand. A seasoned chef. There is a neat gadget out there that is perfectly tailored to the needs and palates of these foodies. Here’s a list of some of the best gizmos designed for food lovers and rulers of the kitchen. Fiddling around for a quarter of a teaspoon of dried oregano can get annoying very fast. Estimating is a big no-no, too. The perfect solution for accurate spice measuring is the Auto-Measure Spice Carousel. With it, cooks and foodies don’t have to dig into the cabinet drawers for little measuring spoons. The cool gizmo features 12 of the most used spices. It also has a dial that releases spices in quarter-of-a-teaspoon batches. Prepping food, especially for busy health buffs, is an important step that can’t be missed. It can also be time-consuming, especially with the manual calculation of nutrients. It gets harder when the fresh foods don’t have a label. The Prep Pad cuts all these steps in half. Foodies can get the nutritional data for raw foods, even if they don’t come with labels. The gadget connects wirelessly to any Apple unit. Upon connection, it’ll show all the nutrition facts depending on the food’s weight. The info will appear on the Countertop app available on the Apple Store. The best benefit of the Prep Pad is its ability to sync with Jawbone UP. It can monitor the user’s daily activity and suggest the best post-workout meals. 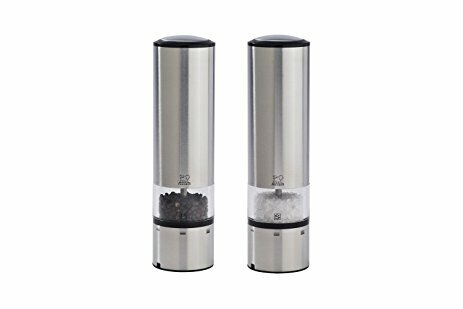 For fancy foodies who love freshly-cracked pepper on their food, the Electric Salt and Pepper Mills will be a definite hit. The dual gadget is a high-tech version of the typical salt and pepper dispenser. They have sensors that instantly trigger the blades when the mills are flipped over. The blades automatically stop whirling once they’re in an upright position. For coffee lovers who are lazy to get out of bed or have hectic mornings, Mr. Coffee 10-Cup Smart Optimal Brew is the perfect foodie present. It readies the morning coffee without the drinker getting out of bed. Using the WeMo app, the user can set a timetable for the much-needed caffeine fix. This schedule can be changed at the eleventh hour or turned off remotely. This kitchen gadget may look like a standard measuring cup, but it’s nothing common or ordinary. The Digital Measuring Cup is loaded with fantastic digital features. It makes cooking and baking faster, easier, and more fun. The usual measurable ingredients like oil, flour, milk, sugar, and water have their own weight setting. The digital cup has a built-in conversion unit. And as a bonus, it also doubles as a weighing scale for meat. Shop for these kitchen gizmos and online services for your foodie loved ones. And perhaps, you’ll get a free meal out of ‘em! 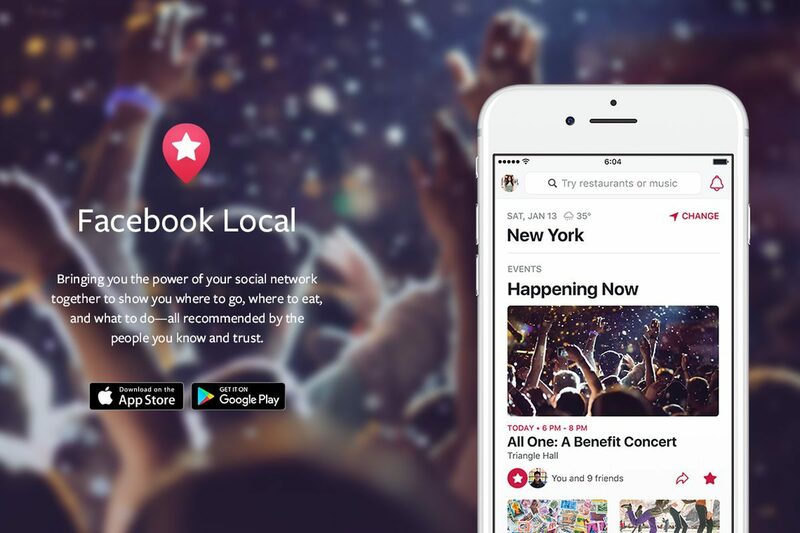 How is Facebook Local Different from Foursquare? Facebook has a quest to be the one-stop source for anything and everything. That’s evident with its new app, Facebook Local. 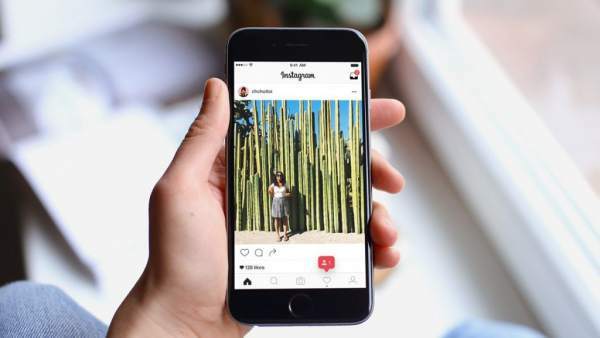 The app delivers an impressive push into helping people find things to do, places to go, and services to try, all of which are based on the recommendations of others. Sounds familiar? It should be since it’s basically an app that merges the primary services of Yelp and Foursquare. But since it’s Facebook, the social media giant, Facebook Local has its own twist. What Makes Local Different from Yelp and Foursquare? Facebook Local is a refurbished variation of Facebook Events. Its goal is to assist people in finding and locating nearby activities and services to try. Its other goal is to make Facebook a much more visible and usable player in the local search. Using the app, users can look for places such as cafes, theaters, restaurants, and gyms. They can also search for events like concerts and festivals. Facebook Local requires users to log in using their Facebook accounts. As such, it can use locations that a user’s friends have liked or events they’ve RSVPed to using the site. Activities and locations are searchable in three ways: by name, by category, or by browsing the site listings. The categories include food, drinks, fitness, movies, music, and health. Results are sorted by popularity, distance, relevance, and rating. Keywords can also be used for easy look-up. Choosing a location displays its operating hours, address, as well as Facebook rating. Users can even get directions using a third-party map, view the event, or look at the place’s website or Facebook Page. When people install the app on their phone, they can accept or decline Facebook’s request to track their locations. Also, they can set up a city as their preferred search recommendation, even if they don’t live there. The home tab of Facebook Local also features places and events broken down into three subcategories: For You, Events, and Guides. “For You” provides services and activities trending in the neighborhood. It also shows the events that Facebook friends have RSVPed to. “Events” details local activities and functions arranged by day in chronological order. “Guides” divides activities and events by interest such as arts, culture, music, games, and fundraisers. Facebook hasn’t released any information yet if Facebook Local will soon feature ads. As such, it’s still ambiguous how the app can specifically contribute to the company’s ROI. But, its indirect benefits are more obvious. Regardless if the users allow the app to track their location or not, they still must set an area when using the app. This helps Facebook measure people’s interests in that particular location. Choosing specific places further indicates interest. This is particularly true if users take action, like calling a restaurant or getting directions. And even if users don’t give the app authorization to track their locations, they could have previously allowed Facebook to do so. 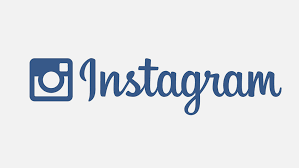 The social media giant has empowered brands to retarget the users that have RSVPed to their activities or stopped at their physical stores. Facebook, at some point, can retarget Facebook Local users to benefit the site’s ecosystem. Author Claudia M.Posted on March 4, 2018 March 4, 2018 Categories Product ReviewsLeave a comment on How is Facebook Local Different from Foursquare?